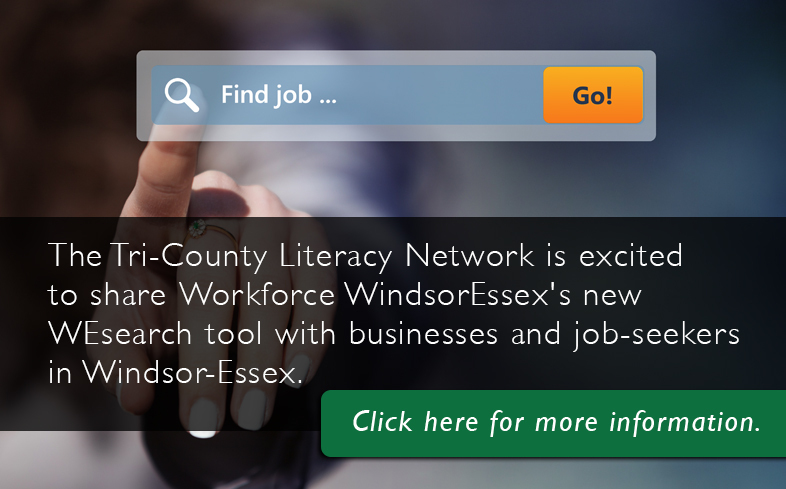 Click here to download the Tri-County Literacy Network Chatham-Kent brochure. What: Improve reading, writing, spelling, math, computer and essential skills. One to one tutoring, large and small group settings available. Who: Adults 19 years of age and older (some age exceptions may apply) seeking further education, employment or independence. What: Academic & Career Entrance Program (ACE) for the purpose of entrance to post-secondary education and apprenticeship college programs. Academic and Career Entrance (ACE) certificate available. Who: Adults 19 years of age and older to help to upgrade skills to meet admission requirements for post secondary and apprenticeship programs (some age exceptions apply). When: Day and evening classes, large group. Improve reading, writing, math and computer skills. Who: Adults 19 years if age and older (some age exceptions may apply) seeking high school diploma, employment or independence. All agencies serve people from the following groups: Adults requiring literacy and numeracy skills, underemployed, unemployed, employment disadvantaged, Ontario Works, Worker’s Safety and Insurance Board recipients. *Large group can be from 10 to 20 students.